FACTORY CERTIFIED AND INSPECTED AND PROTECTED WITH 7 YEAR/100,000 MILE WARRANTY - Chrysler Capital 1 Owner Lease Return - Excellent Condition - Loaded with Moon Roof/Sunroof!!! 2.4L 4 Cyllinder Engine, 4x4, Heated Leather Seats, Remote Start, Power Windows/Locks, Power Drivers Seat, Alloy Wheels, plus much more..............................Price includes $1000 Finance Rebate - Must finance with Waseca Chrysler to Qualify!!! If you’re searching for a used car near Waseca, Mankato, Owatonna, Faribault, or Northfield, then you’ve come to the right place! Waseca Chrysler Center is proud to have a large selection of quality used cars for you to enjoy. As you browse our inventory online, you will notice a variety of used Chrysler, Dodge, Jeep and Ram models. But if you’re in the market for another brand, we also carry makes like Chevrolet, Ford, Nissan and more. All of the pre-owned vehicles you see in our inventory have been fully inspected before being priced to sell. That way, you can have peace of mind behind the wheel no matter where your travels take you. While you are here be sure to take a look at our featured used vehicles and used car specials for even more savings! 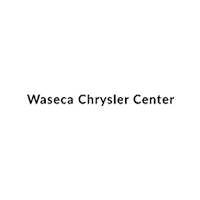 Are you ready to make your way down to Waseca Chrysler Center? If so, you can save time and apply for financing online. Applying online is quick and easy, plus, you’ll receive a secure and personalized response. If you would rather come by and see us in person, we’re located at 1800 W Elm Ave. Feel free to contact us online or give us a call at 507-396-6243 if you have any additional questions. We look forward to handing you the keys to your quality, low-mileage, used vehicle. The lineup of pre-owned cars, trucks, minivans and SUVs you’ll find at Waseca Chrysler Center offers something for everyone. Our Waseca, MN dealership also has great Featured Vehicles and Pre-Owned Vehicle Specials to save you money, in addition to providing extensive variety. Don’t see what you are looking for? Fill out our vehicle finder form and we will get back to as soon as we find it!